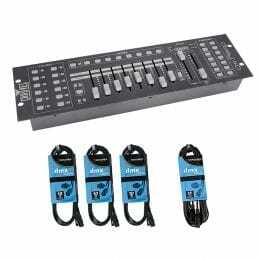 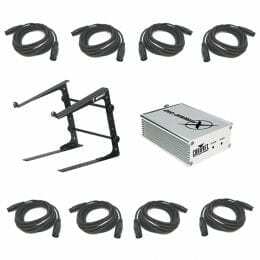 The Mega Flat TRI Pak Plus from American DJ includes four American DJ Mega TriPar Profile Plus lights, three American DJ six-foot 3-pin DMX cables, and one American DJ carry bag. 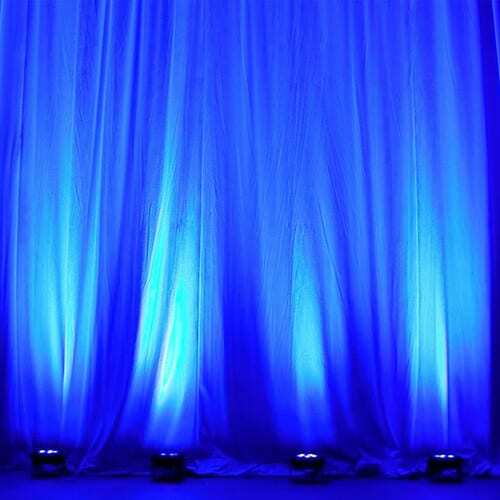 The TriPar Profile Plus is a compact, low profile par designed for up-lighting and stage lighting and includes a scissor yoke. 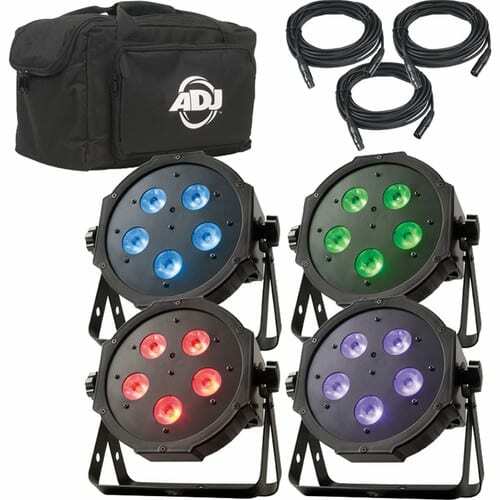 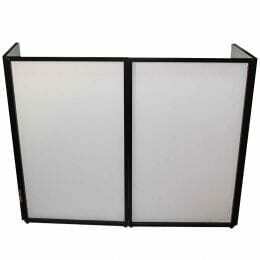 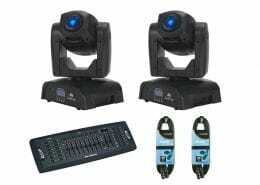 The DJ light contains five 4W, 4-in-1 (RGB + UV) LEDs that offer smooth RGB color mixing. 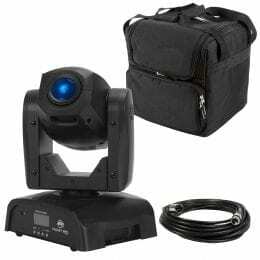 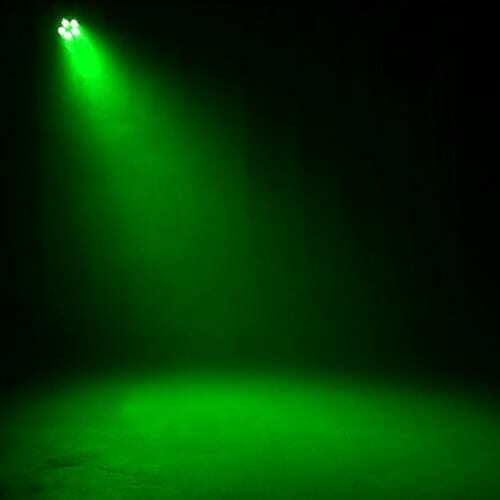 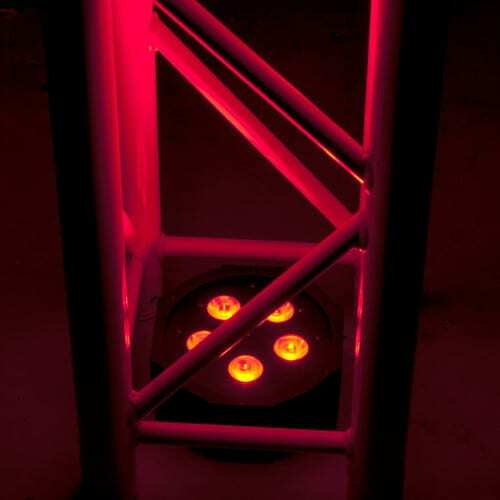 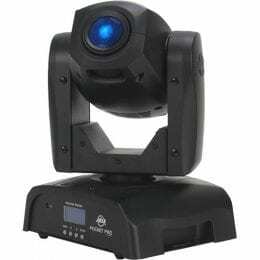 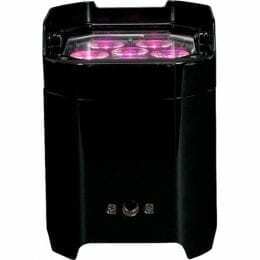 It has a 40 degree beam angle, five operational modes (including DMX, Sound Active Mode, RGB + UV Dimmer Mode, Auto Run Mode, and Static Color Mode), and five DMX channel modes for a variety of programming options. 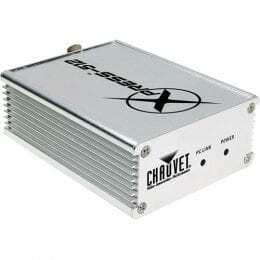 Box Dimensions (LxWxH) 17.0 x 13.0 x 11.0"